by Derf Backderf Author · Marc Meyers Author of introduction, etc. You only think you know this story. In 1991, Jeffrey Dahmer—the most notorious serial killer since Jack the Ripper—seared himself into the American consciousness. To the public, Dahmer was a monster who committed unthinkable atrocities. To Derf Backderf, Dahmer was a much more complex figure: a high school friend with whom he had shared classrooms, hallways, and car rides. In My Friend Dahmer, a haunting and original graphic novel, writer-artist Backderf creates a surprisingly sympathetic portrait of a disturbed young man struggling against the morbid urges emanating from the deep recesses of his psyche—a shy kid, a teenage alcoholic, and a goofball who never quite fit in with his classmates. With profound insight, what emerges is a Jeffrey Dahmer that few ever really knew, and readers will never forget. 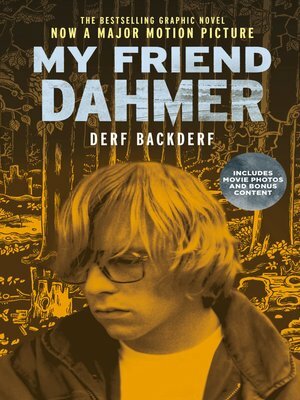 This new paperback edition will coincide with the release of the movie adaptation of My Friend Dahmer and will include additional bonus content from the author archives.